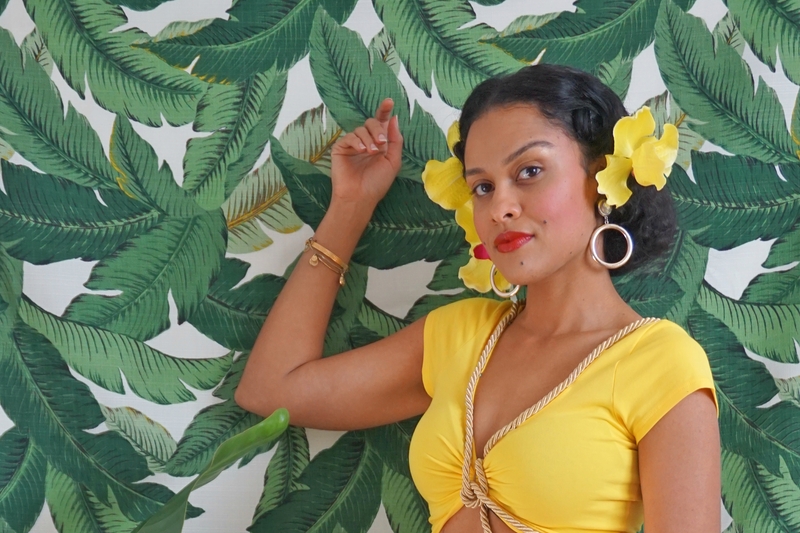 Last Halloween, I created a DIY costume based off Dorothy Dandridge’s character in the 1954 American musical film Carmen Jones as a way to honor her work. This year, I wanted to continue in the same vein; paying homage to women of color in the arts and creative world. It’s imperative that we never forget those who came before us, paving the way so we could have opportunities to express ourselves through art and creative work. 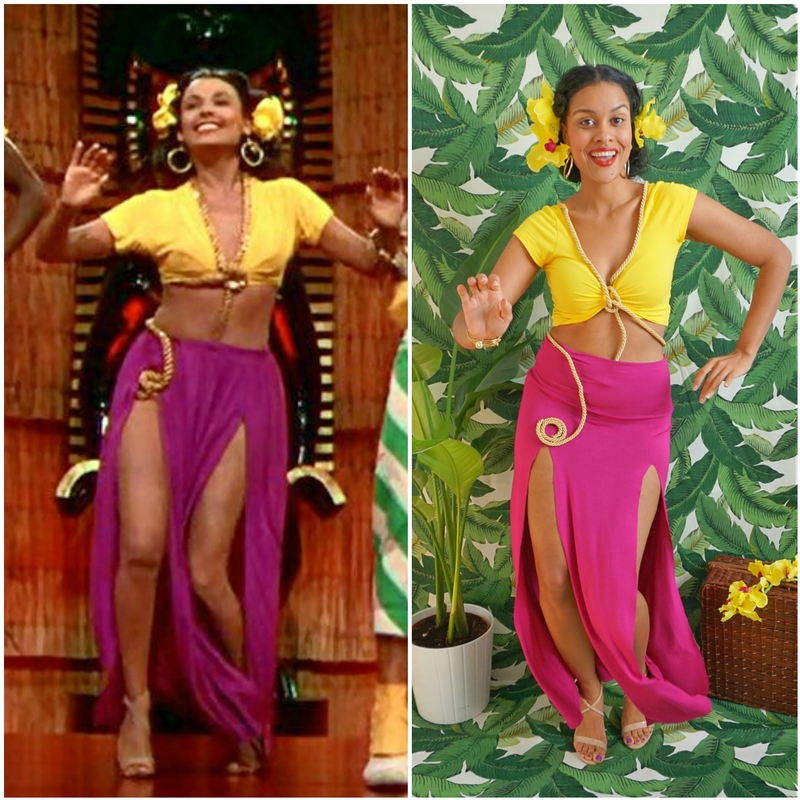 I chose to highlight the ever-talented Lena Horne for this year’s DIY costume. Horne was a Brooklyn-born African-American actress, jazz singer, dancer and civil rights activist who appeared in films, theater and nightclub performances. Throughout her career, (which spanned for several decades in and out of Hollywood) Horne was instrumental in advocating for the rights of African Americans. Her political activism caused her to be blacklisted for some time in Hollywood. Perhaps you remember her for her famous song “Stormy Weather” or her guest appearance in the hit TV show A Different World? 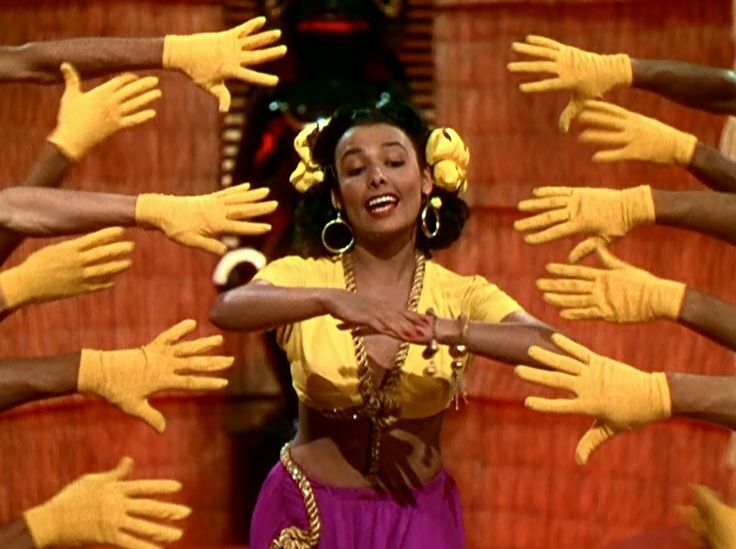 This DIY costume showcases Lena Horne’s performance in the 1944 MGM Technicolor musical, Broadway Rhythm. 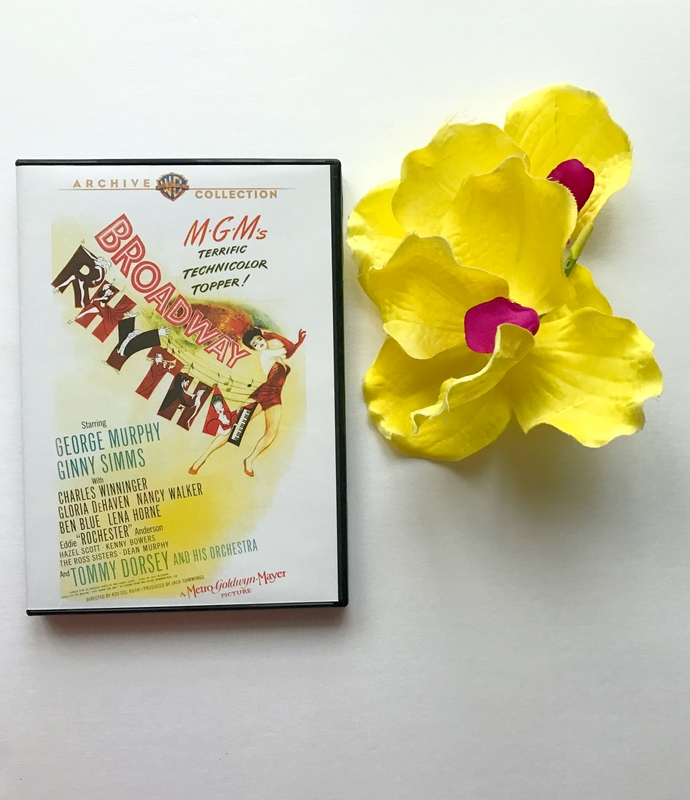 Horne performed "Brazilian Boogie" in this film and below you’ll find a video clip of that scene for reference and vintage inspiration. To make the skirt like Lena’s, you’ll need to cut two high slits up the front. 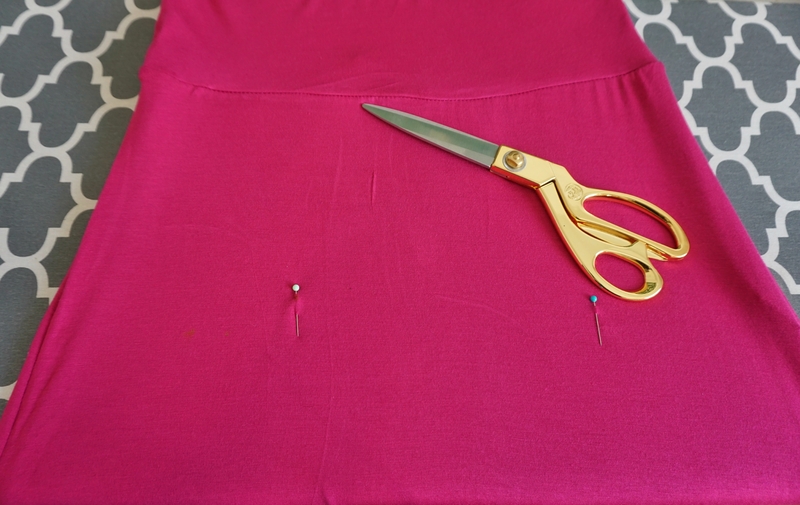 Measure evenly, staring at the side seam of your skirt to the area where you’d like your split to fall. Repeat on the other side so you’ll have two marks to the front. 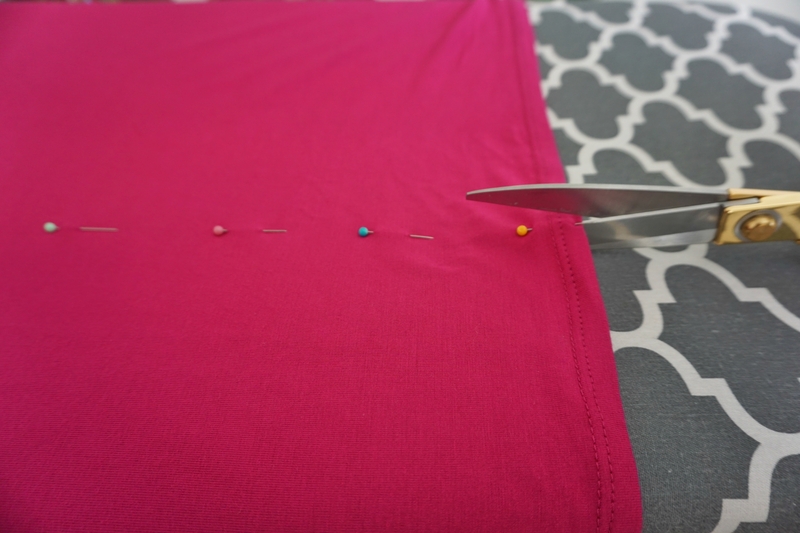 Use those points to begin marking where you’ll cut your slits down to the hem. 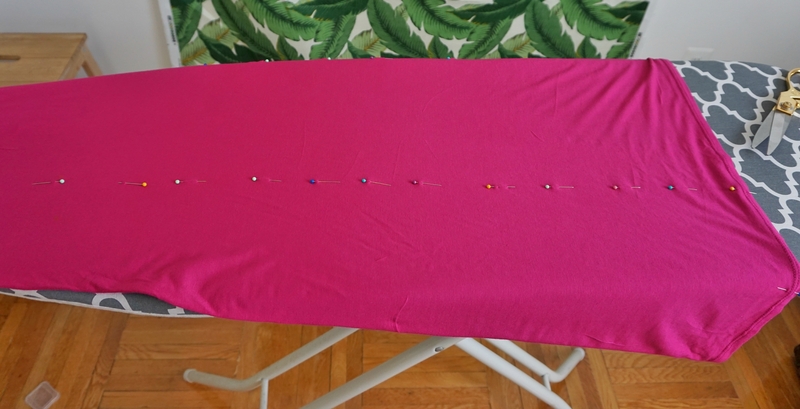 I marked mine with pins, but you can also use tailor’s chalk. Use this line as your guide and begin cutting to your desired height. Repeat for second slit. I used a scoop-neck crop top, which did not tie in the front like Lena’s. To give it that tie front effect, I simply secured the center with a small piece of ribbon as pictured. Wrap the gold cord around you in a similar fashion to Lena’s costume, securing it to your clothing with safety pins. Keep your makeup simple with a little blush, mascara and red lipstick with brown undertones. Now it’s time to Brazilian Boogie! 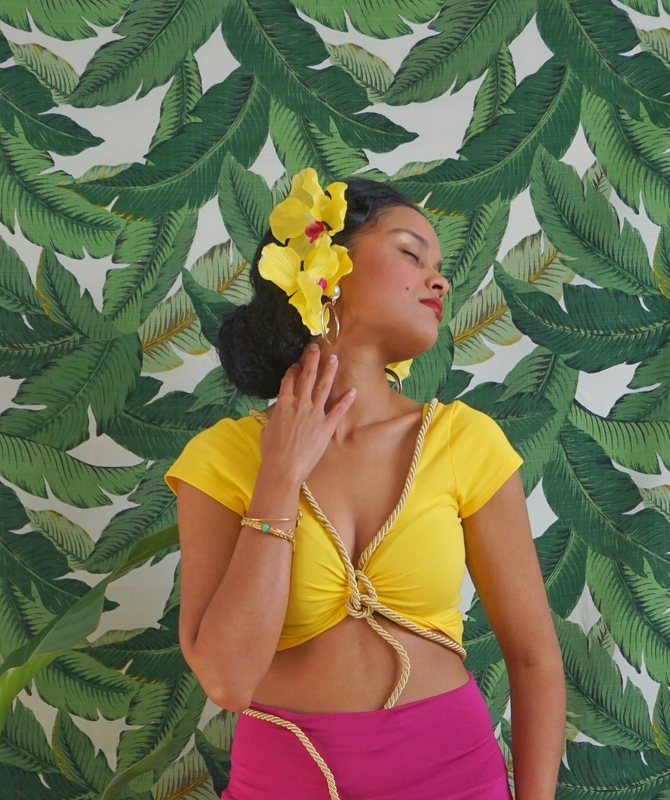 Honestly, I did the Brazilian Boogie and here’s the video to prove it! Have a wonderful and safe time this Halloween! Krystle DeSantos is an digital professional by day and a lifestyle & creative blogger by night. She writes about decor, style, vintage and DIY over on her blog. Follow her on Instagram, Pinterest, Facebook and Twitter. Loving Blavity's content? Check out our newsletter.